A few years ago, I stopped teaching science to my oldest daughter. She was ready for a change of pace, so we began to explore online science options. After sifting through many possibilities, we finally found an excellent science instructor. My daughter has done well and her love of science continues to grow. Both of us are pleased with online science classes. 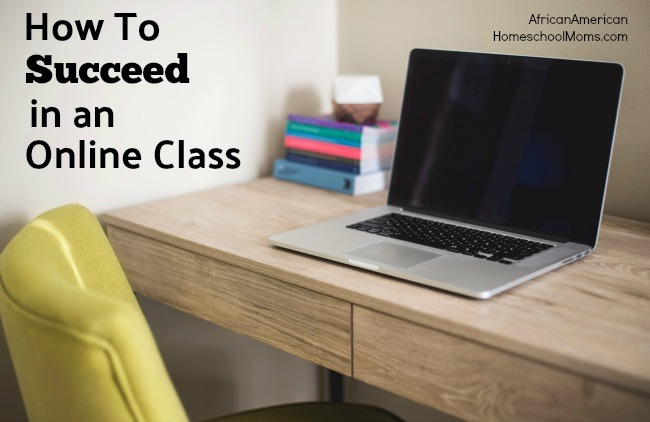 Online classes can be a great way for homeschoolers to learn. However, our children need to know how to make the most of the online experience. Here’s what I’ve done to help my daughter achieve success in online classrooms. Understand the class requirements. Sit down together to read and discuss the course description and class syllabus. By doing so, you’ll better understand class content, class expectations, and grading processes. Understand the technical requirements. Learn how to use the educational platform the class will be using. Possible platforms include Go To Meeting, Google Hangouts, and Skype. You’ll need to know how to use additional laptop features such as the webcam and microphone. Get the instructor’s contact information. Have your child add the teacher’s contact info to his or her personal contact list. If your child has a question or concern outside of class time, she knows how to reach the teacher quickly. Don’t be afraid to ask for help. Remind your child that even though the classroom is virtual, it’s still okay to ask for help. A good instructor will answer questions during class and also answer questions outside of the class. FInd a quiet and distraction free place during class. Help your child focus on the class by steering them away from noise and activity. If you don’t have a quiet place, have your child listen to class with earbuds or headphones. Create a schedule. Many online classes only meet one a week, so students are responsible for completing additional work alone. Sit down with your child and create a weekly schedule. This gives your child something to do each day and limits the frustration associated with late assignments and looming deadlines. Online courses are a great way to enhance the homeschool. Are any of your children taking online courses? If so, feel free to share how you’ve helped them find success. Leave a comment or suggestion. We’d love to hear from you!